Should You Get The Proper Italian Craftmanship - The Tommaso Monza? To Whom: Tommaso Monza (for $949.99) is the perfect choice for a rider who wants to spend less than $1,000 on a bicycle but get fantastic value for recreational and fitness-oriented rides. Monza is one of the most popular race tracks in the world, home to some of the most iconic automotive races ever held. Thus, it makes perfect sense for Tommaso to give that same name to one of their best and most-selling road bikes. We say this because Tommaso Monza shares a lot of the characteristics commonly associated with the original Monza. 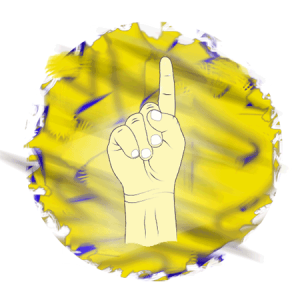 Namely, it is fast, exciting, innovative, groundbreaking, and it’s hard to get bored with it. This fantastic road bike is incredibly lightweight at this price range, thanks to the materials and components used on it. Due to the harmonious geometry, it’s nimble on the road and behaves incredibly well at high speeds and when cornering. It’s the perfect road machine both for the inexperienced rider and for those roadies who want to upgrade from a more basic model. We are generally very fond of Tommaso and it’s not hard for us to fall in love with their bikes at the first sight. Monza is not an exception to this rule. 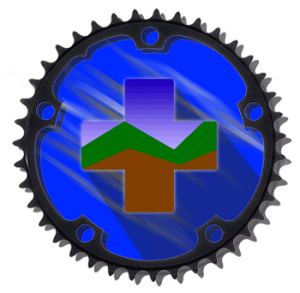 The reason is that Tommaso offers all of their bikes online only, and thus avoids several layers of the retail process, which would drive the price up. Thus, this Italian brand can offer more value for the same price. What we liked the most about the Monza is its carbon fiber fork coupled with the Tommaso SLA frame. SLA stands for Super Lightweight Aluminum, which is an alloy that can even be seen on some more expensive Tommaso aluminum road bikes as well. The result is a weight of 22.3 lbs, which is fantastic for a road bike with such an affordable price. Let’s see what else there is to be excited about on Tommaso Monza. Components are often the part of the bike where brands will try to rob you gain the value to increase their profits. But, that’s not the case with Tommaso, since their profit is already high due to their innovative business principles. Tommaso Monza is equipped with a full Shimano Tiagra 4700 groupset, including shifters, derailleurs, the cassette, the crank, and the bottom bracket. The only part of the drivetrain that is not part of Tiagra groupset is the chain. Tiagra is very similar in price and quality to Shimano 105, which means it offers excellent value for the money. The drivetrain offers you 20 speeds in total, with an 11-32T cassette that’s perfect for climbing. Shifting gears with Shimano Tiagra is done using dual control levers, which will need some getting used to if you’re upgrading from a more basic road bike. Brakes, just like the rest of the components on this road bike are part of the Shimano Tiagra groupset. Disc brakes are becoming more and more popular today, but Monza comes with simpler brake calipers. Of course, they have no performance issues on the road; you will get lots of stopping power. From our experience, Tiagra 4700 brakes are a huge improvement compared to the previous 4503 line, so you can feel free to rely on them even in the harshest of conditions. If you already had disc brakes and you prefer them to brake calipers, you can easily swap them, as Shimano released Tiagra hydraulic disc brakes around three years ago. It all depends on your preferences and your experience. 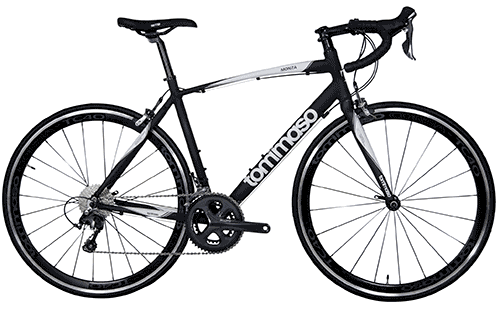 As we have already mentioned, Tommaso bikes are all about providing the most value for the smallest possible price. If you’re looking to buy a bike for less than $1,000, it means that you are price and value-oriented. Monza’s value reflects in the fact that it is equipped with a stiff, durable, and lightweight carbon fork, and features the complete Shimano Tiagra groupset. The majority of bikes from other brands that cost this much usually come with full-aluminum frames and lower end groupsets, such as Shimano Sora. Therefore, the fantastic value is one of the aspects of this Tommaso model that needs to be commended. 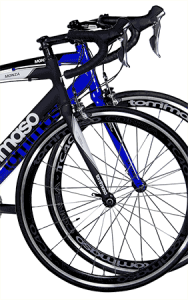 Tommaso outfits most of their bikes with their excellent Tommaso Corsa wheelset. This model ended up with the TC40 aluminum wheels, which have numerous positive aspects. The “40” in their name stands for 40 mm, which is how deep they are. This feature will provide you with increased aerodynamics, improved stability, better vibration dampening, and a lot more control. These wheels do add a bit more weight to the bike, but when you compare that downside to all of the benefits you have from them, the sacrifice is well worth it. The TC40 rims are fitted with Kenda 700x23c tires, which are pretty standard on most Tommaso road bikes. They are a good match for these quality rims as most riders have nothing negative to say about them. Depending on where you ride, you might want to swap them for a pair of 25 mm tires, if 23c is too narrow for you. Another notable feature of the Monza road bike is the WTB Volt saddle. This saddle is characterized with an aluminum frame, low weight, and smart cushioning. The outer parts of the saddle are reinforced with durable and ample foam, whereas the middle part features a “channel” that ensures comfort even on the longest rides. Looks do matter in cycling, even though they do not directly improve your speed or performance. A good-looking bike is more likely to motivate you to go out, ride, and get fitter, so it does improve cycling performance indirectly. Monza has awesome looks working in its favor, thanks to the two attractive colors that are available. One is the strong blue with black details and a white “Monza” logo; the other one is matte black with white details that make this bike look a lot more expensive than it really is. If you like competing with your friends in all aspects of cycling and you like getting some envious and interested looks when you’re riding outside, this road bike will definitely do the trick. Tommaso Monza is a unisex bike that fits a large variety of riders. In its original version, it is more suitable for male riders, due to a relatively long stem. However, if you’re a lady, you can simply swap the stem for a shorter model, draw the saddle forward a bit, and you’re good to go. As you can see, no matter if you are a very short or a very tall rider, Tommaso has your back! To ensure the best fit, make sure to take a look at their complete size guide and even contact their sales team before making the purchase. So, we’ve taken a detailed analysis of most aspects of Tommaso Monza and presented everything that is good about it. Is there anything that can be better? There certainly is, this is a bike that costs less than $1,000, so you cannot expect it to be perfect. Depending on your preferences and how high your standards are, you might not be fond of the brakes, the tires, and the pedals. However, you really can’t ask for much more at this price point. If you wish to have a set of hydraulic disc brakes, high-end tires, and higher-quality pedals, you will have to break the bank and pay more than a grand. Therefore, if we’re being realistic, we can’t really say that there are any big setbacks. You get what you pay for and you’re treated with a bit more in the end. If your skill and your thirst for cycling one day surpass the capabilities of Tommaso Monza, you can easily upgrade with a more expensive model. To sum up, Tommaso Monza is an intermediate road bike with fantastic value. That’s exactly why it has been one of the best-selling models in this price range around the world. Its biggest highlights are the carbon fork, Shimano Tiagra components, a relatively low weight, and really attractive looks. 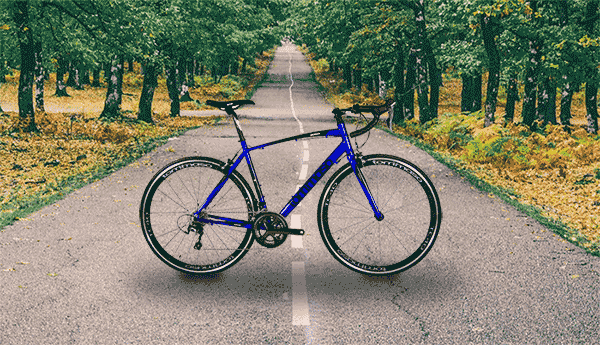 Thus, if you’re on the lookout for a road bike that you will pay less than $1,000 for and that will exceed your expectations, you can end your search here. The Monza is the perfect choice for commuters, recreational rides, long endurance rides, and even daily training sessions.